Travel light during meetings! 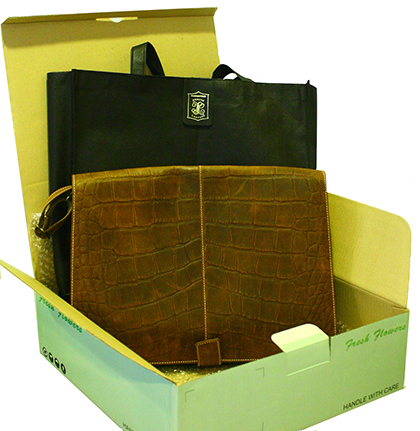 All leather zipped folio for tablets + letter pad in genuine vintage croco print leather and green genuine suede leather lining including a retractable handle. Easy slip gusseted for the iPad series, Samsung Galaxy Tab 10.1 and other similar tablets. (Dimensions: H 30.5cm x W 24.5cm x T 2cm) Vintage brown only.